Link to last page of previous thread. All those rectangular panels I assume are access panels. I also assume that they will have some sort of a cladding to make it stealthy. Unless they go with a paint, how will they tackle those panels? Would be happy if you could explain how the panels affect the "stealth" of the aircraft and also the thing about paint in your post kinda didn't make sense too. They could be panels where the metal is cut out and replaced with composite,making it lighter, tougher and more stealthy. Note that the peripheral angled parts could be metal and the flat bits composite. The other question is, no matter what the Americans seem to be saying and doing, how important is radar stealth to a helicopter that will be directly exposed to enemy gunfire while approaching the area with stealthy nap-of-the-earth flying. Weight, noise and IR reductions would IMO be more profitable than a massive reduction in radar reflections - much of which comes from the rotors anyway rather than the body. raghuk wrote: Would be happy if you could explain how the panels affect the "stealth" of the aircraft and also the thing about paint in your post kinda didn't make sense too. Raghu saheb, any chai biscuit on the IMRH program ? At the speeds that helicopters fly, the parasite drag effect of the tail gear should not be important. The fairing looks like a protective cover for the hydraulic struts (IMO). For details on Helicopter Aerodynamics one may read up R W Prouty's books. @Shreeman ji, Helicopter flight lines always see hover 'taxi' from the 'Dispersal' area itself in case of birds with skids. Only wheeled birds taxi out. The Dispersal discipline is paramount and in the video I saw there were no visible violation. The ATC is in control of Crash Fire Tenders and other emergency services and at a time when the airfield is live the CFT's would remain in central location to cover the entire airfield. On the drag issue, I refer you to the AeroIndia 2013 LCH seminar from Prasad Sampath. Goto 24:50. The only surprise here is that the TD3 doesn't have fairing on the Main landing gear. srin wrote: On the drag issue, I refer you to the AeroIndia 2013 LCH seminar from Prasad Sampath. Goto 24:50. TD-2 got it after a while, TD-3 will too hopefully. "Stealth" never has meant "invisible". It has *always* meant later-the-detection-the-better. And, "stealth" comes in many shapes and forms. 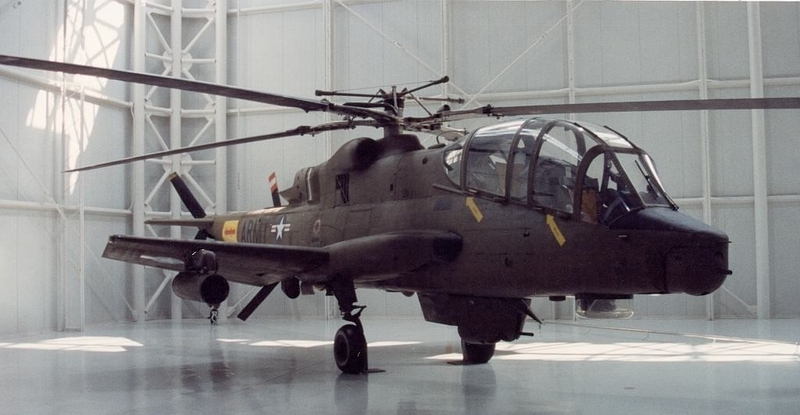 Having said that I have been around Apaches (got some cool pictures too), but never took the time to look at "panels" - never struck me as an important item to look for nor did I "panels" stick out on that bird. But, that particular picture struck me in two respects: 1) The shape of the bird - is clearly shaped to reflect as little as possible and 2) It seemed to have a lot of access panels - may be the numbers are justifiable, do not know - which is why I posed that question. The two seemed somewhat contradictory and yet it was there. So, the next question was how is such a problem solved (one was is to have saw tooth edges) - paint, some other material, ..........?????? Being a TD could be this is question too early in the process. Who knows they may even reduce the number of panels. Raghuk, Congratulations on the first flight of TD-3. Please answer at your discretion. 1. Why isn't the TLG fairing shaped as an aerofoil? 2. Has the designed top speed been attained, or are you guys still looking to lowering the drag? 3. I had read or heard somewhere that Dhruvs with fenestrons are being studied. True? Handed over the DHRUV Advanced Light Helicopter (ALH) Mark III to Nepal. Tarmak007 reports that LUH GTV has undergone its first successful ground run. Very good news on the LUH. Hopefully the first flight is not far away. There should be a lot of armor plating around the pilots, engines and other sensitive areas. Not sure what materials are used. Sraiji, Is that the squadron's coffee table book??? 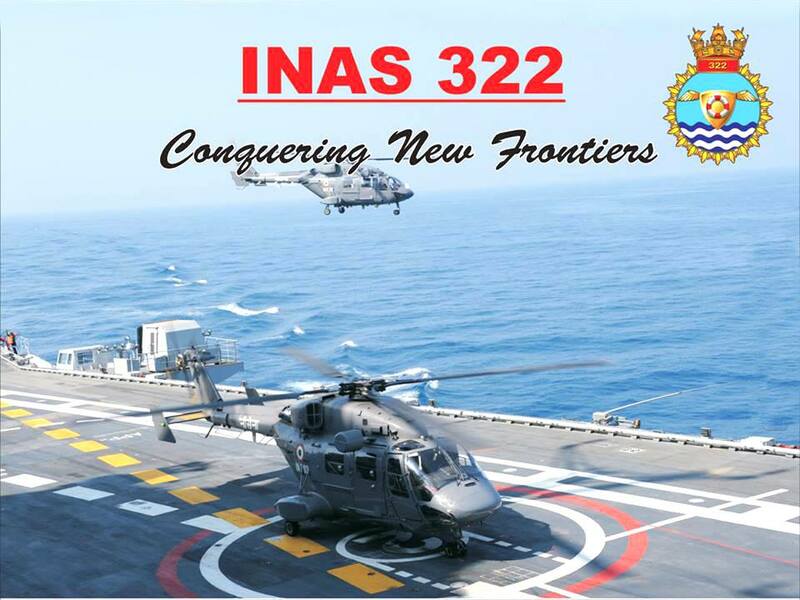 Interesting pics on INAS322 in IN website. I see an Army Aviation pilot on deputation in this pic. The same gent can be seen standing in another pic with Army shoulder insignia. Same pic I see 4 gents squatting who do not seem to have any shoulder insignia. 1 more gent on extreme left is wearing black insignia. Gurus can you please help out identifying the service of the 5 squatting gents in question? The three person squatting on right and two on left do not seem to be aviators. As evidenced by lack of Wings on left chest pocket which you can see on all other people who are pilots for sure. Further, one can make out the Combat Divers Badge over right chest pocket on three gents on right which is missing on two gentlemen on left. Common to all of them is a badge over left chest pocket. Considering that this is a SAR Squadron, the men with Combat Divers Badge could be the observers/rescuers for actual extraction of people from the water. The other badge looks similar to UAV Pilots badge - wouldn't be surprised if the Squadron also operates a flight of UAV. Thank RV. Any indicators about their service? The last person squatting on left seems to be wearing the shoulder sleeve insignia of Chief Petty Officer/ Master Chief of IN. But the 3 squatting on left do not seem to be wearing any at all. Looking at their combat diver badges indicates they are from IN, but combat diver badge is given to even other service folks who complete the course. From this pic I am trying to understand if there is deputation across services even at JCO/ NCO level. NEW DELHI — India's Defence Ministry has decided that South Korea and Russia must partner with Indian firms in order to take part in its helicopter competition, despite offers of complete technology transfer, according to an MoD source. South Korea is offering its Surion light utility helicopter (LUH) and Russia its Ka-226 machine. Russian President Vladimir Putin made the offer during his Dec. 11 visit to India. "MoD's decision to buy LUH only through competition from domestic vendors is a virtual rejection of any government-to-government helicopter production deal between India and Russia," said defense analyst Nitin Mehta. The MoD source, however, said the decision not to enter a joint program with either South Korea or Russia is part of a policy to boost the domestic private sector defense industry, and that the MoD would like to see partnerships for weapons programs with overseas companies. After coming to power, the government of Prime Minister Narendra Modi canceled two global tenders for light utility helicopter purchases and approached the domestic companies to participate in the procurement of unspecified numbers of helicopters, either alone or in partnership with an overseas company. India needs 440 LUHs to replace its aging Cheetah and Chetak helicopters used for reconnaissance and logistics in the high altitude battlefields in the Himalayas. After the summit talks with Putin, Modi said in a statement: "I am pleased that Russia has offered to fully manufacture in India one of its most advanced helicopters. It includes the possibility of exports from India. It can be used for both military and civilian use. We will follow up on this quickly." South Korea has also offered India full tech transfer of the Surion helicopter, the MoD source said. A diplomat from the South Korean Embassy in New Delhi confirmed that a proposal was been made to India in December, but gave no details. In August, MoD canceled the 2012 tender for the purchase of 56 naval utility helicopters, in which Airbus Helicopters and AgustaWestland were in the race. In July, MoD canceled the 2008 global tender for the purchase of 197 light utility helicopters worth $1 billion, in which now Airbus Helicopters' AS550 was in competition with Russia's Ka-226T built by Kamov. India's helicopter requirement is expected to grow to 600. In addition, the MoD also plans to procure 90 multirole helicopters worth $2.5 billion through the "Buy and Make (India)" route. "Except for state-owned Hindustan Aeronautics Limited [HAL], no private-sector defense major has ever produced a military helicopter," Mehta said. "But in the future, tie-ups are expected with overseas defense companies to tap the emerging helicopter market." US-based Sikorsky and Tata Group already have an agreement, and in October, Airbus Helicopters also announced a tie-up with the Tata to jointly produce Avro transport aircraft. Let HAL slug out against foreign designs like Surion, Ka-226, Fennec etc. I don't see any major progress on LUH procurement front for the next year and half. By the time trials are carried out, HAL's LUH should be ready for user trials as well. HAL's rotorcraft division being one of their better divisions should make them a heavyweight in this competition. 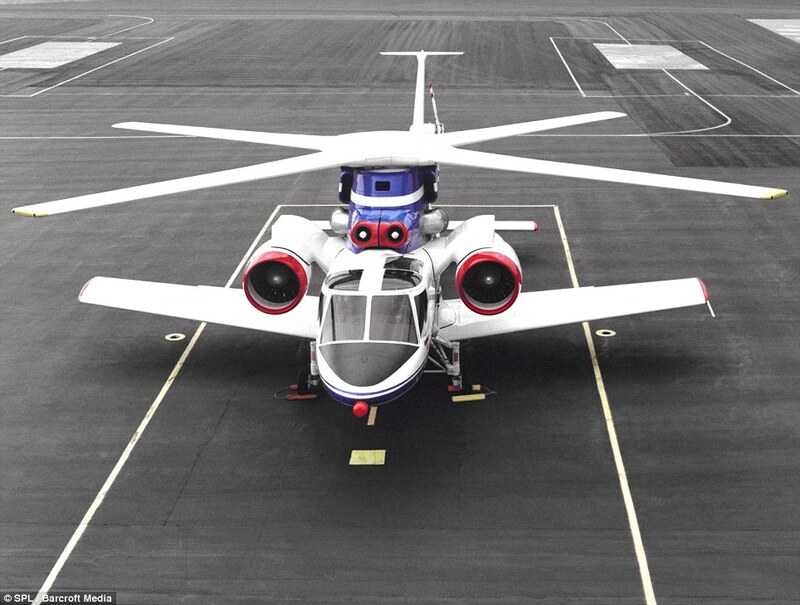 IIRC, the MI 25 family uses the concept as visualized by you. That its wings do provide some amount of lift. However, when it comes to landing. Please note that every helo has the auto rotation ?? landing capacity. So am not sure what your point is regarding the sorter distance for safe landing. 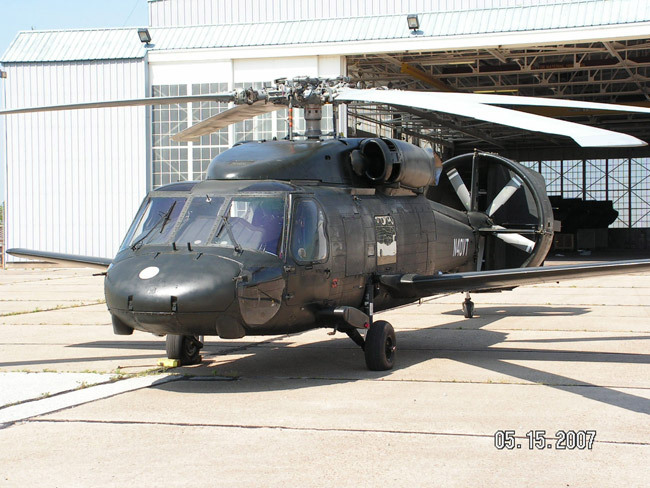 Helicopters are called "rotary wing" because the rotating blades act like a solid disc wing placed above the fuselage. As long as the rotors rotate, even without engine power, they provide some lift. The big difference between static wings and rotary wings is that rotary wings do not require forward motion for lift. Static wings do (unless some artificial means are used like boundary layer blowing). Without forward motion no aircraft or helicopter or bomb can "glide" on static wings. But a helicopter that is static and hovering in the air can still come down at a rate that is slower than free fall when the blades are in auto rotate mode without power. Agree with your primer, while hover is part of their flight profile, choppers do have forward velocity due to the tilt of the main rotor and then the blades themselves are changing angle to force air down when moving from axial to ventral position and then back to axial position so that air isn't forced on the airframe itself but only in the two hemispheres on the either side of the axial airframe. with the addition of stub wings, they might divide that down draft into four air 'channels', one for each quadrant avoiding the ventral line as well. Discretizing airflow just for illustration. if the Chopper's stub wings are ploughing through the forward quadrant air channels, they might as well design the stub wings for good glide ratio and tilt the main rotor even forward, the rear quadrant air channels might help the tail plane wings, the increased air flow around the stub wings from the main rotor is doing the work of the turbofan so to speak. And before landing they could throttle down the main rotor so the lift is entirely due to the stub wings and the forward speed, well thats the concept. In hover mode there is no such advantage. I am sorry, I missed your post earlier. Please don't call me sir/saab. I don't like it. Actually, I am confused with what you are trying to achieve. You want to use the stub wings to glide the helicopter down? The Mi-35 (like the LCH) uses its stub wings to offload the rotors in forward flight. This allows them to have higher cruise speeds as stub wings have lesser drag. So they do what you are suggesting. If you glide a helicopter down, then you would need a runway which will defeat the purpose of making a helicopter in first place. Unfortunately, the study of aerodynamics when it comes to subsonic low-sweep wings had saturated much before the design of the Mi-35s. The only things that have changed is the material, which allows us to make lighter and much stronger wings. Could you explain that? "ventral" means belly side, opposite of "dorsal" where the rotor is mounted. The main rotor blades don't go ventral. Thanks for explaining the funda of speed regime impacting wing size even below 1 mach, are any of the above are fuel efficient or lets say increase the endurance? I read the X3, 3rd pic from the bottom is a new design and might be going mainstream but with so many engines , while the last pic looks like is a mod for prototyping purposes? something a traditional chopper can be morphed to. Osprey's footprint is big. Any chai wallah news on the IMRH front? I cannot comment on this. I thought the change of angle of attack was only for the phase when each blade was moving forward (advancing blade) on one side because it would meet air flowing towards a helo in forward flight and would tend to generate more lift than when the same blade would while moving backwards (retreating blade) on the other side of the helo. That would mean just one cycle of change of blade AoA every 180 degrees rotation. What you are saying is one change every 90 degrees. I have never heard of this being the case, or that downdrafts on the fuselage are so significant that they must be reduced by a change of AoA of the blade every 90 degrees. As per my 'dated' readings, AOA of blades does not change during rotation unless you want to change amount of vertical 'lift'. Forward movement is by 'inclining' the plane of rotation of the blades.